But it’s more than just looking good in pink. Respect is one of the 5 core values of the university enshrined in President Ono’s new strategic plan and it is one of the pillars of Building Operation’s success. To ensure that we are living our values, starting last week Building Operations began a conversation about what respectful workplace means and how we can make that happen for ourselves and the university. One of the themes from our conversations has been how each of us, as individuals, taking action can achieve the kind of workplace we want. As individuals we have the power to make a difference. We have the power to choose our reaction to stressful situations. We have the power to respectfully point out when someone has been disrespectful to us,. We have the power to be curious instead of angry. We have the power to apologize when we say something we wish we hadn’t .We have power to seek amicable resolutions. We still have work do to ensure that everyone we work with feels that people are treated with respect and consideration in our workplace. This is just the beginning; over the coming months we will have follow up discussions to engage further on what we want from our workplace. 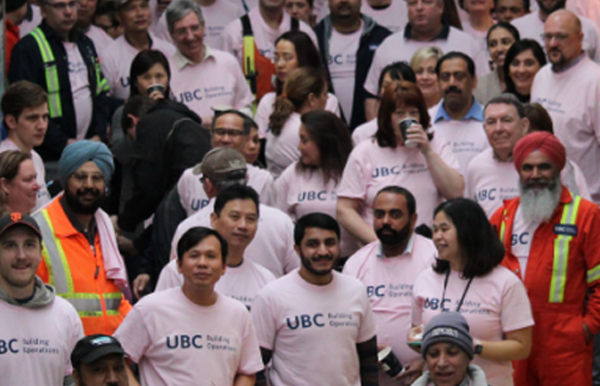 So if you see someone from Building Operations in their pink shirt, give them a shout out and ask them what a respectful workplace means to them how you can help.